If I am a “changed person” after the collision, but did not lose consciousness, will the judge be satisfied that the changes in my personality were caused by a brain injury? What if I was born prematurely and susceptible to brain injuries? In the 2017 case of Sharma v. Chan (2017 BCSC 1651), a major issue was whether the changes in the plaintiff were caused by collision injuries – namely whether he suffered a mild traumatic brain injury (“mTBI”) in the collision. The plaintiff had the expert opinion of Dr. Bishop – who opined that he did suffer a mTBI, but this opinion was not accepted because she, a neuropsychologist, lacked the expertise to provide this diagnosis. The plaintiff also had opinions from a psychiatrist and neurologist, both of whom had access to collateral evidence that he was a changed person after the collision. ICBC’s lawyer had expert opinions from Dr. O’Shaughnessy and Dr. Dost – both of whom blamed things other than the collision for the changes in the plaintiff. Mr. Justice Voith was very impressed with the credibility of ICBC’s expert Dr. Dost. He noted “Dr. Dost both understood and fulfilled his role as an expert, who seeks to assist the court, to an unusual degree. He was extremely knowledgeable. He communicated plainly. He was even – handed and fair. I had considerable respect for his expertise and confidence in the evidence that he provided” (para 109). On cross-examination, Dr. Dost admitted that collateral information would have been important, and that he should have sought it out. While he maintained that it was unlikely that the plaintiff suffered a mTBI, he agreed with portions of the plaintiff’s expert opinions setting out the plaintiff’s pre-existing vulnerabilities – agreeing he was vulnerable to brain injury. It remains necessary, however, in thin-skull cases, to establish that the “defendant’s conduct actually caused the aggravated harm”; the Honourable Allen M. Linden & Feldthusen at 412 (emphasis in original). It is therefore useful to summarize certain core principles that define and explain what constitutes causation for tort purposes. The test for causation in Canada is the “but-for” test (Bradley v. Groves, 2010 BCCA 361 at para. 37, 8 B.C.L.R. (5th) 247; Resurfice Corp. v. Hanke, 2007 SCC 7 at paras. 21-22,  1 S.C.R. 333; Blackwater v. Plint, 2005 SCC 58 at para. 78,  3 S.C.R. 3 [Blackwater SCC]; Clements v. Clements, 2012 SCC 32 at para. 8,  2 S.C.R. 181). To assess whether the defendant caused an injury, the trial judge asks if, without the defendant’s tortious act, the injury would have resulted. If the answer is “yes”, the defendant is not liable for the injury or the losses flowing from it (Athey at para. 41). If the answer is “no”, the defendant is liable to the plaintiff for the whole of the losses flowing from the injury (Athey at paras. 22 and 41). Once causation for an injury is established, the defendant is liable to the plaintiff for all of the loss(es) flowing from that injury. The losses “flowing” from an injury are those losses which the plaintiff proves, on a balance of probabilities, would not have occurred “but-for” the defendant’s act (Blackwater SCC at para. 78; Smith v. Knudsen, 2004 BCCA 613 at para. 26, 33 B.C.L.R. (4th) 76). The plaintiff need only establish a “substantial connection” between the injury and the defendant’s negligence in order to find the defendant liable; see Sam v. Wilson, 2007 BCCA 622 at para. 109. A substantial connection is something beyond the de minimus range; see Farrant v. Laktin, 2011 BCCA 336 at para. 9. On the evidence, the plaintiff did not suffer from pre-existing physical or psychological difficulties. Moreover, his chronic pain condition was caused by the collision. 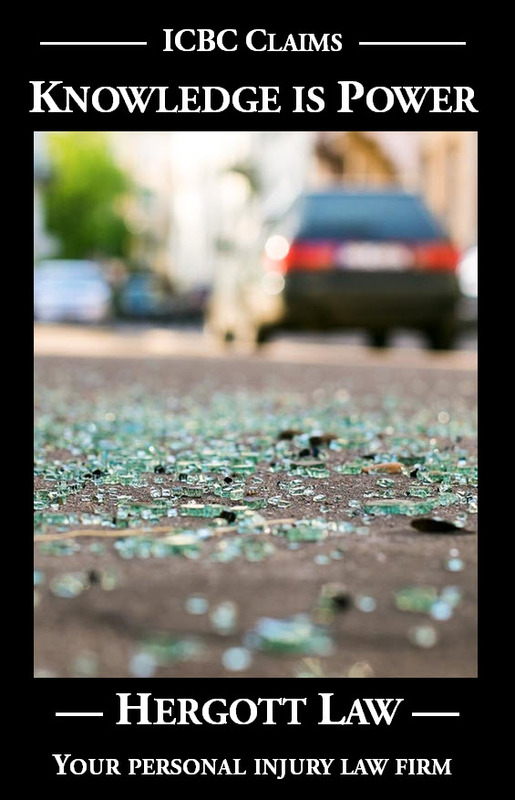 Mr. Justice Voith was satisfied that while he was vulnerable to injury, the many and varied changes in the plaintiff were caused by the collision. As a result of this decision, the plaintiff was awarded significant compensation for his losses.